148572 is on display in front of Cumberland County High School located in Crossville, TN. 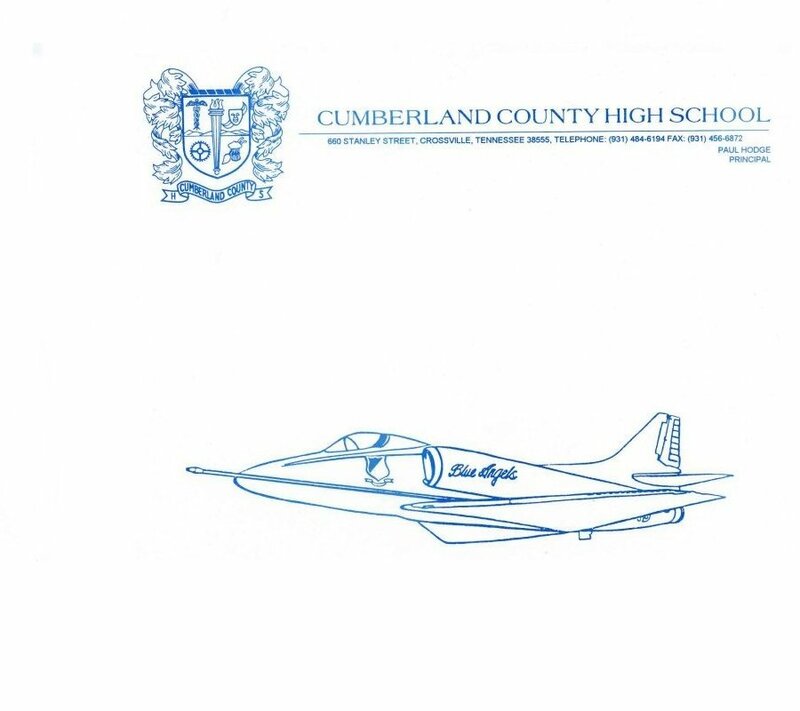 Cumberland County High School is known as the home of the "JETS". 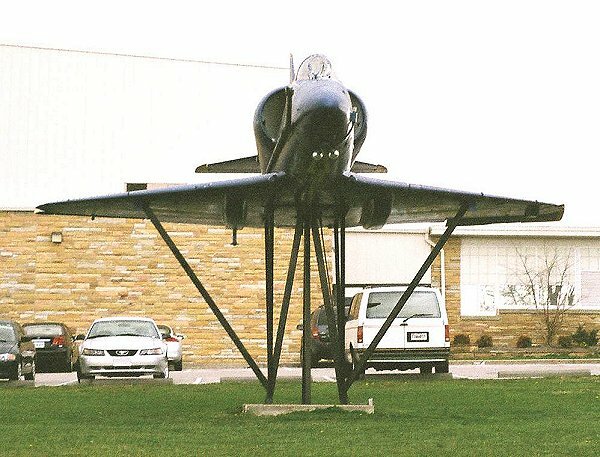 The Skyhawk was obtained, restored, and mounted for display with the assistance of Lcdr. Curt Watson (1983-1986) who is an Alumni of Cumberland County High School. 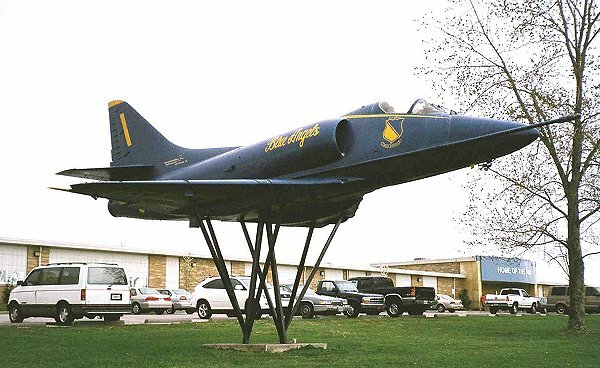 When I went into the school's main office, I was surprised and pleased to see that the entry area and office area was decorated in Blue Angels colors and a good number of pictures mounted on the walls. 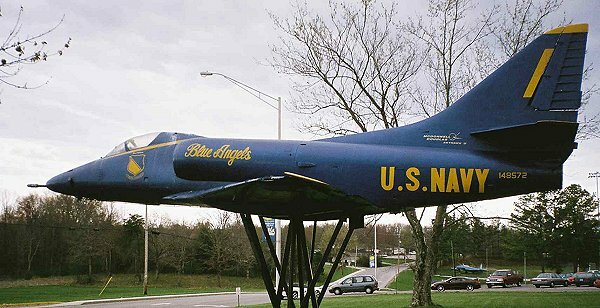 Some of the desks even displayed models of Blue Angels aircraft. All of the people that I spoke with were very proud to display the Blue Angels colors.